The OU Soonertarium is a educational outreach program of the Homer L. Dodge Department of Physics and Astronomy at the University of Oklahoma. Our goal is to share the joy of exploring the cosmos with our fellow Oklahomans, one classroom at a time. 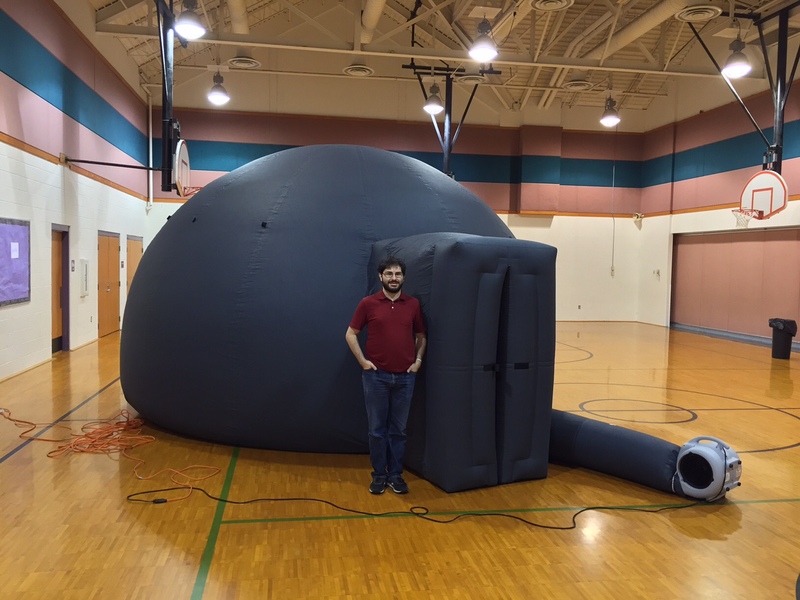 We provide traveling planetarium shows and lectures, free of charge, to interested science classrooms in Oklahoma. Contact us! We would love to visit your classroom!